But in the wake of the split from Garner, a recalibration appeared to be taking place. 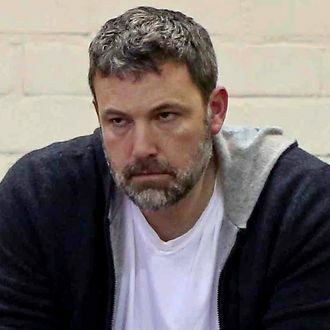 Affleck was older, suddenly flailing; and his enormous, garish tattoo—whether real or not—was the least of it … Affleck has been photographed more than once by the paparazzi, looking despondent. The resulting pictures have become reliable meme-fodder. This is definitely going to stop the whole meme thing.